Lewis, who is setting off on a North American tour at the end of this month, celebrated her release by performing on Jimmy Kimmel Live! last night. 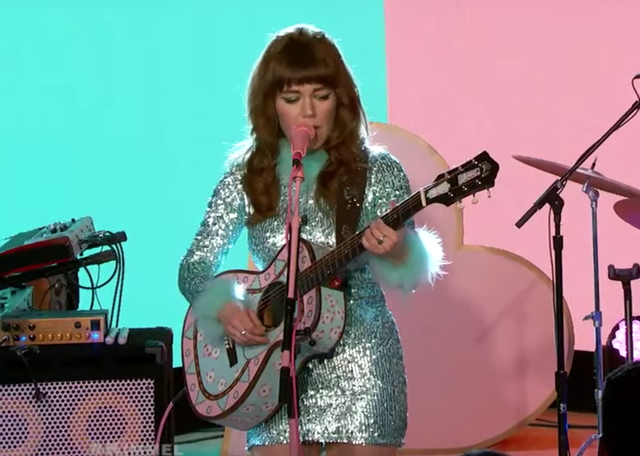 Switching between acoustic guitar and piano, Lewis ran down renditions of “Red Bull & Hennessy” and “Wasted Youth” with a big band and both costumes and stage decked out in pink and teal pastels. Watch those performances and stream On the Line below.